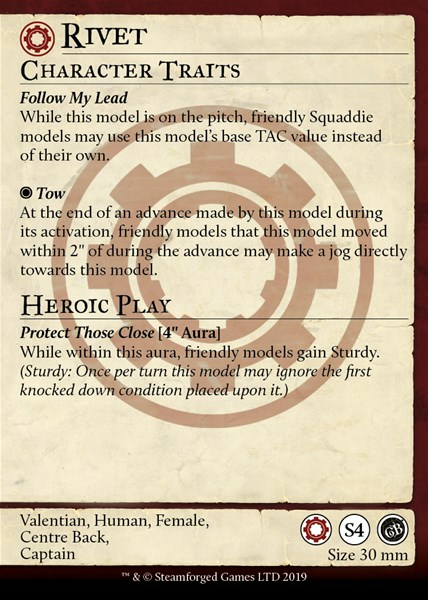 Another day, another preview of a new captain coming for Guild Ball. This time around, it's the Engineer's Guild in the form of Rivet. She's certainly a team player, doling out Reach, Momentum, and free TAC to models on her team. 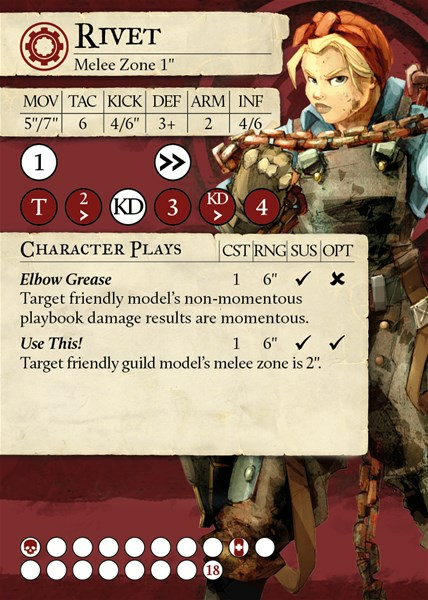 Welcome back Guild Ball fans! Last time we took a look at Corbelli, if you missed that article you can find it here. This time we’re gonna be looking at Rivet, the Ironsoul! She’s a keen, mean, opponent bustin’ machine, and she’s about to roll her sleeves up and get stuck in!